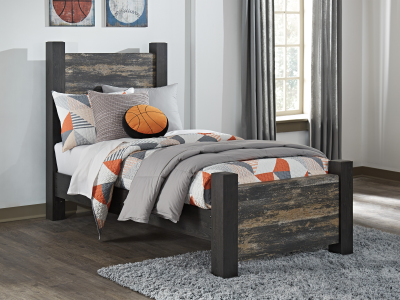 Loaded with grainy character and a touch of rustic charm, the Westinton bed perfectly suits those w.. Fit for a princess. The Zarollina full bedroom set is glitzy and glamorous—perfect for the u.. The Zayley panel headboard's crisp, clean finish allows the true star of this piece—the cutout inla..